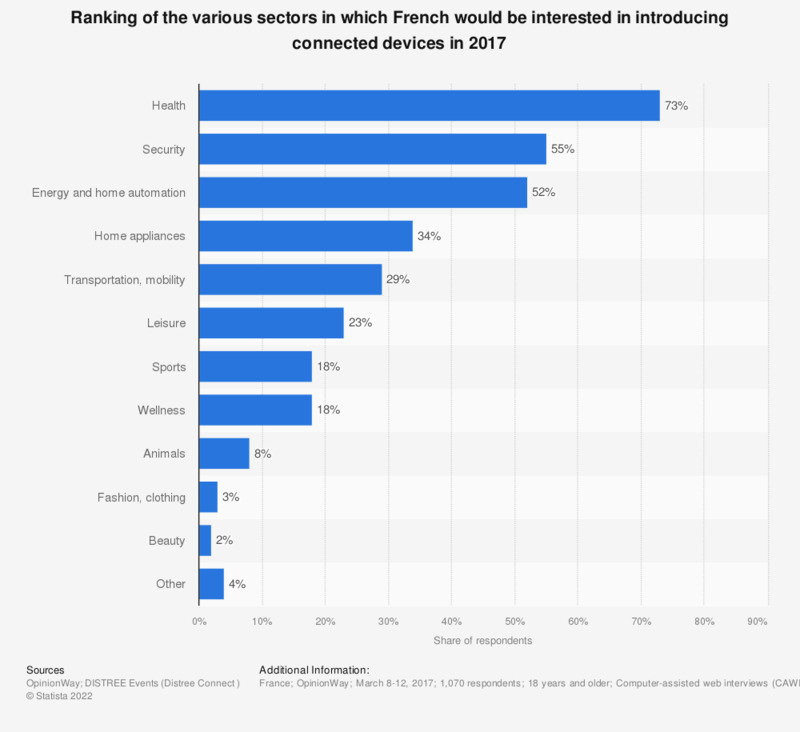 This statistic displays the ranking of the various areas of society in which French state they would be interested in seeing the introduction of connected devices in 2017. It appears that health was considered by 73 percent of the respondents as a primary sector for implementing connected devices. This question was phrased by the source as follows: "D'après vous, quels sont les secteurs dans lesquels il est/serait intéressant d'avoir des objets connectés?" Which of the following best describes why you used multiple devices or switched devices between discovering, researching and while purchasing? Through which of the following devices did you make your recent purchase?